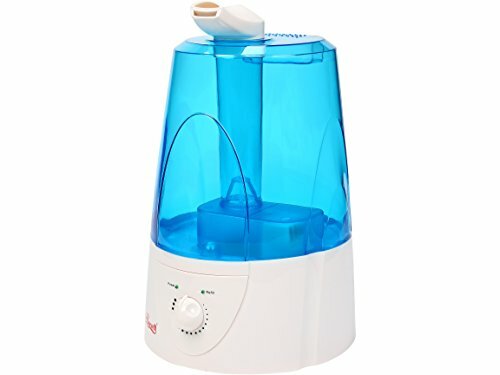 Best Filterless Humidifier: Why You Should Get It? →Best Filterless Humidifier: Why You Should Get It? When you think about humidifiers, you may think that you should get one with a filter so that it can filter the air in the room. That is not how a humidifier works. It works by taking in dry air and releasing moisture-rich air into your room. There are several reasons why you would want to get the best filterless humidifier. The main reason is that getting a filterless humidifier will save you money on filter replacements. Some filtered humidifiers actually require that you change the filters monthly or better yet yearly. Another reason why you may consider getting a filterless humidifier is that it is relatively inexpensive compared to the filtered humidifiers. It is easy to use and can be cleaned easily. You just have to remove the dust particles from inside of it sometimes (at least weekly or daily for babies). Humidifiers that lack filters also tend to be less noisy than their filtered rivals. Cool Mist offers you a relatively small humidifier that has a capacity of 2.5 liters. It is filter free and can be used for a baby’s nursery or for a bedroom. It fills from the top and is very quiet when in use. It is designed with two nozzles that can rotate in a full circle of 360 Degrees. This is ideal because the mist is permeated throughout the room. If used in your baby’s nursery, it comes with a nightlight, so there is no need to get a separate one as your humidifier gives you a two for the price of one deal. This humidifier fills from the top. It has a humanization design. This design not only lets you fill from the top but gives you the advantage of not having to worry about leaks. The fill from the top option also makes it easy to clean the humidifier when the time comes. This humidifier offers you a ten-hour output. This is good because you generally need about eight hours of sleep. That means, your sleep will not be interrupted by the humidifier shutting off when it runs out of water. 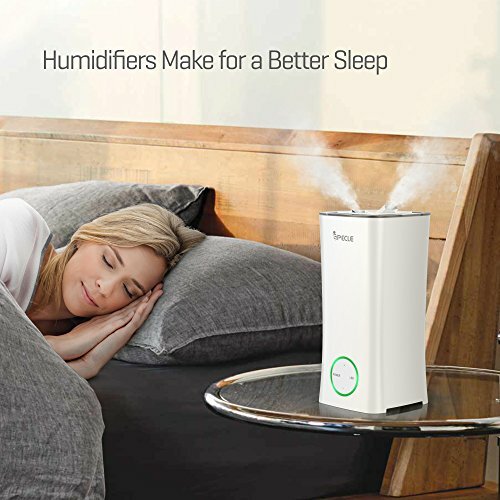 This quiet humidifier that allows you to sleep undisturbed comes with a 12-month warranty. Having this warranty means that you can return the device should anything go wrong with it during the twelve month period. The manufacturer recommends that you clean this humidifier at least once a week for an optimum performance and to extend its life. Rosewill put in the item description that the filter free humidifier is used for bedrooms. They probably marketed it as such because of its noiseless features. The nozzles in this humidifier can be adjusted, and it has a capacity of 5 Liters. It is a big humidifier, so it can be used to humidify a large bedroom up to two hundred and fifty square feet. Aside from that, this humidifier is also very easy to clean. If you want to use this in your children’s bedrooms, the humidifier comes with a nigh light, so you don’t have to worry about changing bulbs or replacing night lights in their rooms. It shuts off automatically. This is a safety feature that the humidifier uses to protect itself. When the water tank is empty, it shuts off. That way, the humidifier does not run without water. This humidifier only comes with a cool mist function. The light may be a pro for some persons, but for others, it may be a con as the light cannot be shut off and may disturb your sleep. In this instance, you may be forced to cover the humidifiers light. Cool Mist has another humidifier. This one has a 3-liter capacity and fills from the top as well. It has three levels of humidification and is ideal for basically any bedroom in your home. It is portable and also acts as an air moisturizer. This is possibly the best filterless humidifier on the market as you don’t have to worry about dry winter air damaging your skin and causing you respiratory problems. This humidifier is perfect for the environmentalist as it is made using eco-friendly products. 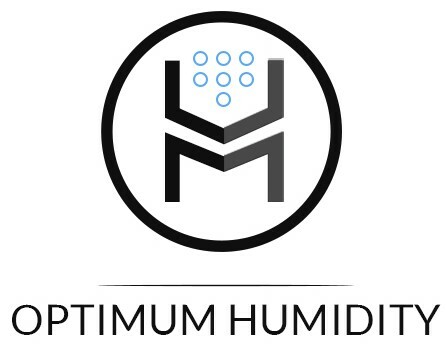 When using this humidifier, mildew is the last thing that you need to worry about. It keeps dry air out of rooms, so you don’t have to suffer from dry skin conditions that are associated with winter. It keeps the air moist by allowing just enough humidity in the room. Easy to fill and clean. It opens and fills from the top. This prevents leaks and makes it very easy to clean. 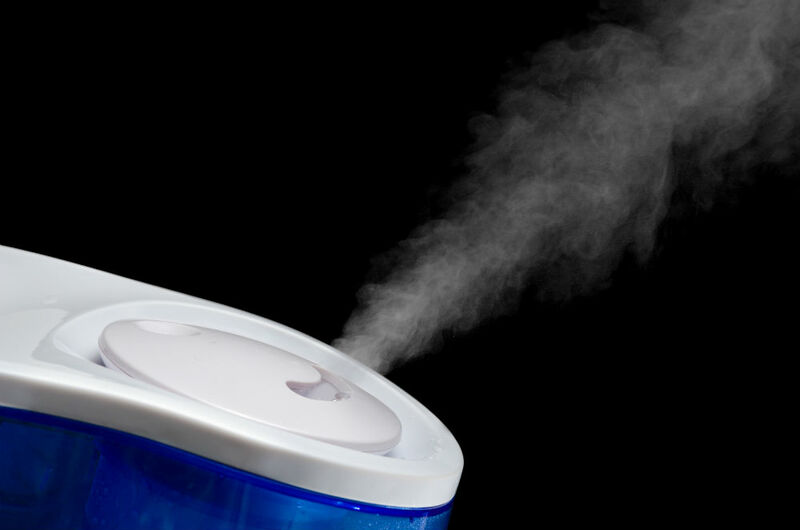 You are encouraged to disinfect the humidifier when cleaning it with bleach or vinegar solution. This humidifier can work continuously for as much as twenty-four hours. You don’t have to worry about shutting it off yourself though, as it possesses an auto function that sense when the humidifier is out of the water and shuts it off for you. This humidifier does not take essential oils, so you are advised only to use tap water. Using essential oils will cause the humidifier to corrode. Among the three humidifiers presented, the Cambond Cool Mist Humidifier presents one of the most compelling features as it has only one con compared to the others. It is very important to consider the features of each product before making a purchase because a humidifier should not only keep your indoor air clean, it should also provide additional benefits to make your home safe and allow you to operate a machine without hassle. The humidifiers are all easy to clean and have a good set of features which will allow you to have a good night’s rest. However, if you want to make sure that your home is totally clean and safe, chose the Cambond Cool Mist. Air Purifier vs Dehumidifier – Which is Best for You? Dyson Humidifier Review – Expensive But Worth It? © Optimum Humidity, 2017-2018. Unauthorized use and/or duplication of this material without express and written permission from this site’s author and/or owner is strictly prohibited. Excerpts and links may be used, provided that full and clear credit is given to Optimum Humidity with appropriate and specific direction to the original content.